Tom Wilson’s ban has been upheld. 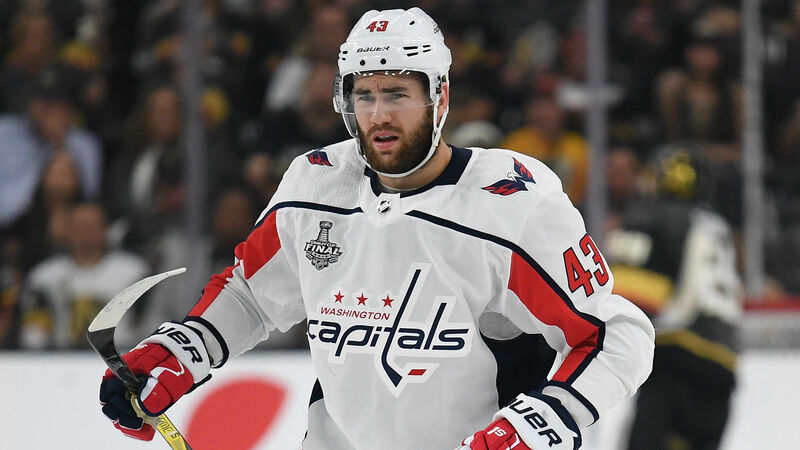 The NHL announced Thursday commissioner Gary Bettman has rejected the Capitals forward’s appeal after he was suspended 20 games for a brutal hit on Blues center Oskar Sundqvist during the preseason. Bettman heard Wilson’s appeal at a hearing in New York on Oct. 18. The hit occurred when Wilson leveled Sundqvist in the head as he was cutting across the ice in the second period of the Sept. 30 meeting. Sundqvist left the game bloodied and did not return, while Wilson was ejected after being assessed a 10-minute penalty. Wilson is considered a repeat offender after being suspended three times for hard hits last season, one of which resulted in a broken jaw and concussion for Penguins forward Zach Aston-Reese during the postseason. Wilson, 24, signed a six-year contract worth $31 million in July after logging a career-high 14 goals and 21 assists in 78 games last season. He later added five goals and 10 assists in 21 playoff games as Washington won its first Stanley Cup. He is eligible to return Nov. 21 when the Capitals host the Blackhawks.